Posted on Thursday, June 21st, 2018 at 6:35 pm. 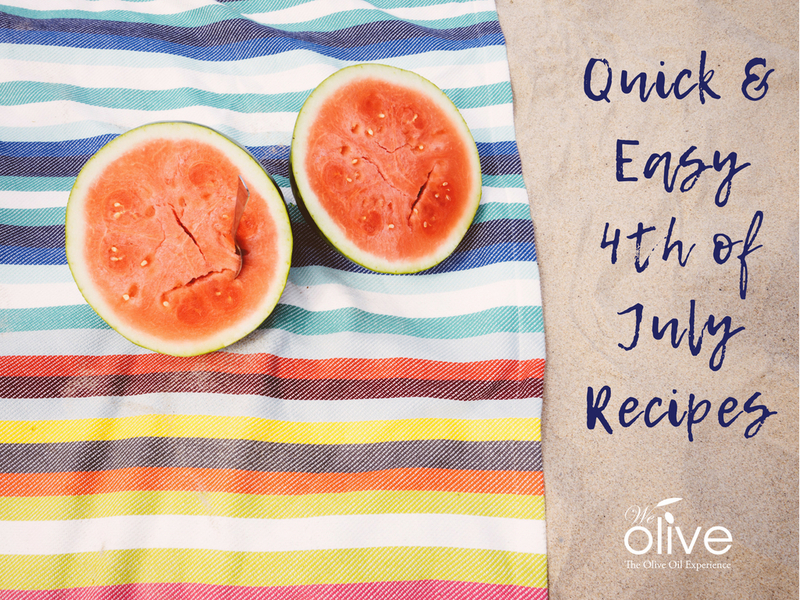 The 4th of July is right around the corner and we are sharing our simplest make-ahead recipes to make Independence Day entertaining a breeze! 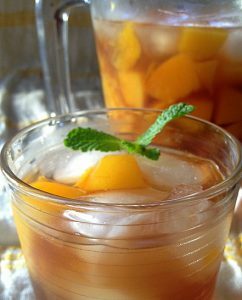 This is a tasty sweet tea that is great as is but can be spiked with a little vodka and peach schnapps for a grown-up kick. This 3-ingredient dip is a crowd-pleasing appetizer that comes together in a snap, making it perfect for entertaining. 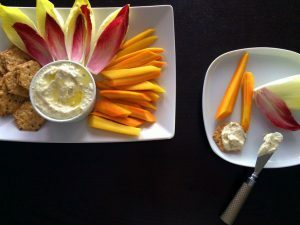 Serve with veggies and crackers. 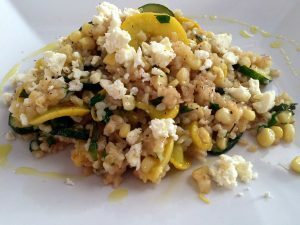 This bulgur salad can be served warm or cold and is a great vehicle for any veggies, herbs and cheese you need to use up! This easy orzo salad recipe holds up in the heat of a summer day and it features a trio of We Olive bestsellers: Fresh Garlic and Meyer Lemon Olive Oils plus Aged Balsamic Vinegar. 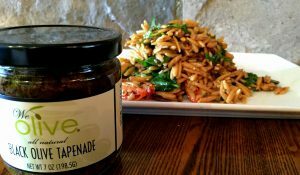 Finishing it with Black Olive Tapenade adds complexity and depth. The combination of our Fresh Basil Olive Oil and our Blackberry Balsamic Vinegar is somehow reminiscent of perfectly ripe tomatoes. 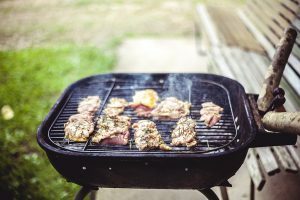 Marinate chicken or pork overnight in this combo before grilling! 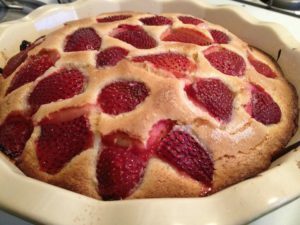 This simple summery cake comes together quickly and can be made a day or two in advance of your gathering. Serve with vanilla ice cream!